The Ottoman Empire joined the Central Powers in October–November 1914, pursuant to the secret Ottoman-German Alliance signed on August 2, 1914, threatening Russia's Caucasian territories and Britain's communications with India and the East via the Suez Canal. 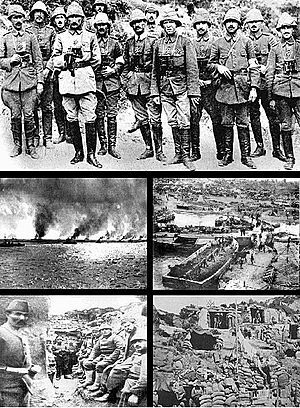 The Ottoman Empire's entry into hostilities occurred on October 29, 1914 when German battlecruiser Goeben and light cruiser Breslau, operating under Turkish flag, shelled the Russian Black Sea port of Odessa. Mesopotamian Campaign: The campaign was fought mainly in the Tigris River valley region of what is now Iraq, and included battles on the Persian Gulf coast, at Basra, and numerous struggles around Kut and Baghdad. Caucasus Campaign: The Russian and Ottoman armies fought in the Caucasus and eastern Anatolia (northeastern Turkey), with the Ottoman Empire suffering a crushing defeat at the Battle of Sarikamis in November-December. Mesopotamian Campaign: Initially the Ottomans successfully repelled the British incursions. However, fortunes reversed after the disastrous Siege of Kut. Caucasus Campaign: The Russians went on the offensive, advancing as far as Lake Van, but the Ottoman forces were ultimately able to drive them back. Ottoman repression of the Armenian population in Anatolia, who had evinced pro-Russian sentiments, grew into what is now called the Armenian Genocide. The fighting was largely inconclusive as the focus of the Ottoman and Russian war effort shifted to the Dardanelles Campaign and the Eastern Front respectively. Dardanelles Campaign: the campaign, which began on April 25, took place at on the Gallipoli Peninsula on the European side of the Dardanelles (tr:Çanakkale Savaşları), and is commonly referred to in Australia, New Zealand and Newfoundland simply as "Gallipoli". The British and French mounted a combined operation with the goal of capturing the Ottoman capital at Constantinople (now Istanbul). The campaign started with a Naval attempt to force the Dardanelles. When this failed the Allies decided to seize the European side of the Dardanelles with an amphibious assault. The troops were able to land but could not dislodge the Ottoman forces after months of battle that caused the deaths of an estimated 131,000 soldiers, and 262,000 wounded. Eventually the Allied forces withdrew. The campaigning represented something of a coming of age for Australia and New Zealand who celebrate April 25th as ANZAC Day. Kemal Ataturk, who would go on to become the first leader of modern Turkey distinguished himself as a Lieut. Colonel in the Ottoman forces there. Arab Revolt: The British, based in Egypt, began to incite the Arabs living in Hejaz near the Red Sea and inland to revolt to expel the Ottoman forces from what is the modern-day Saudi Arabian peninsula. 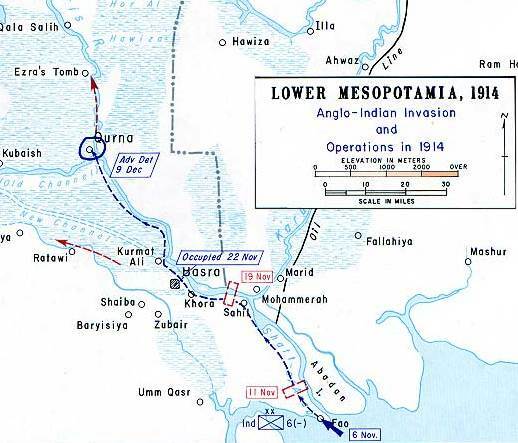 Sinai and Palestine Campaign: The Ottomans launched an unsuccessful attack across the Sinai with the objective of destroying or capturing the Suez Canal. 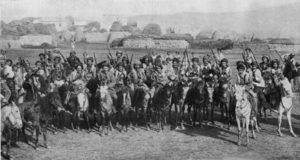 Arab Revolt: In 1916, a combination of diplomacy and genuine dislike of the new leaders of the Ottoman Empire (the Three Pashas) convinced Sherif Hussein ibn Ali of Mecca to begin a revolt. He gave the leadership of this revolt to two of his sons: Faisal and Abdullah, though the planning and direction for the war was largely the work of Lawrence of Arabia. Caucasus Campaign: The Russian offensive in northeastern Turkey culminated with the capture of Erzurum in February and Trabzon in April. 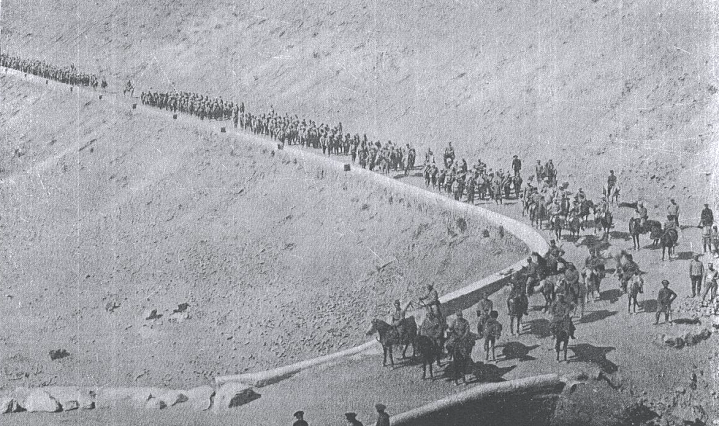 Sinai and Palestine Campaign: The Ottoman forces launched a second attack across the Sinai with the objective of destroying or capturing the Suez Canal. Both this and the earlier attack (1915) were unsuccessful, though not very costly by the standards of the Great War. The British then went on the offensive, attacking east into Palestine. However, two failed attempts to capture the Ottoman fort of Gaza resulted in sweeping changes to the British command and the arrival of General Allenby, along with many reinforcements. 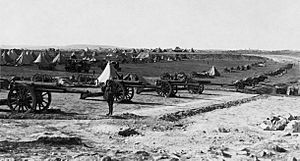 British artillery placements during the Battle of Jerusalem, 1917. Mesopotamian Campaign: British Empire forces reorganized and captured Baghdad in March 1917. Caucasus Campaign: Russia effectively withdrew from the war in 1917; the Treaty of Brest-Litovsk of 1918 eventually restored to Ottoman Empire the territories it had lost to Russia during the war. Arab Revolt: The revolt was a success, aided immensely by General Allenby's conquest of Palestine in 1917 (see the Sinai and Palestine Campaign for details). 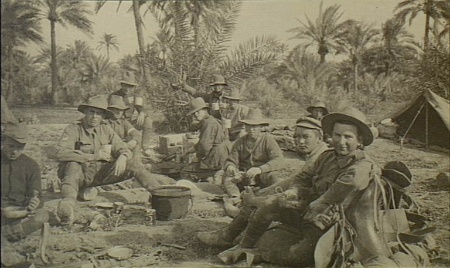 Sinai and Palestine Campaign: Late in 1917, Allenby's Egyptian Expeditionary Force smashed the Ottoman defenses and captured Gaza, and then captured Jerusalem just before Christmas. While strategically of minimal importance to the war, this event was key in the subsequent creation of Israel as a separate nation in 1948. Sinai and Palestine Campaign: Ottoman Empire could be defeated with campaigns in Palestine and Mesopotamia and the Spring Offensive delayed the expected attack. General Allenby's was given brand new divisions recruited from India. British achieved complete control of the air General Liman von Sanders, had no clear idea where the British were going to attack. Compounding the problems, withdrew their best troops to Caucasus Campaign. 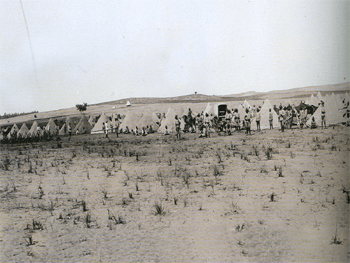 General Allenby finally launched Battle of Megiddo, Ottoman troops started a full scale retreat. Arab Revolt: T. E. Lawrence and his Arab fighters staged many hit-and-run attacks on supply lines and tied down thousands of soldiers in garrisons throughout Palestine, Jordan, and Syria. 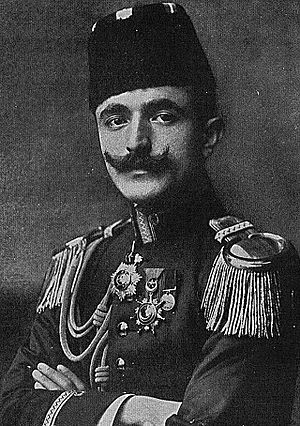 Caucasus Campaign: The Grand vizier Talat Pasha signed the Treaty of Brest-Litovsk March 3 1918 with the Russian SFSR which stipulated that Bolshevik Russia cede Batum, Kars, and Ardahan to Ottoman Empire. Treaty of Brest-Litovsk united the Armenian-Georgian block. Democratic Republic of Armenia declared the existence of a state of war between the Ottoman Empire. 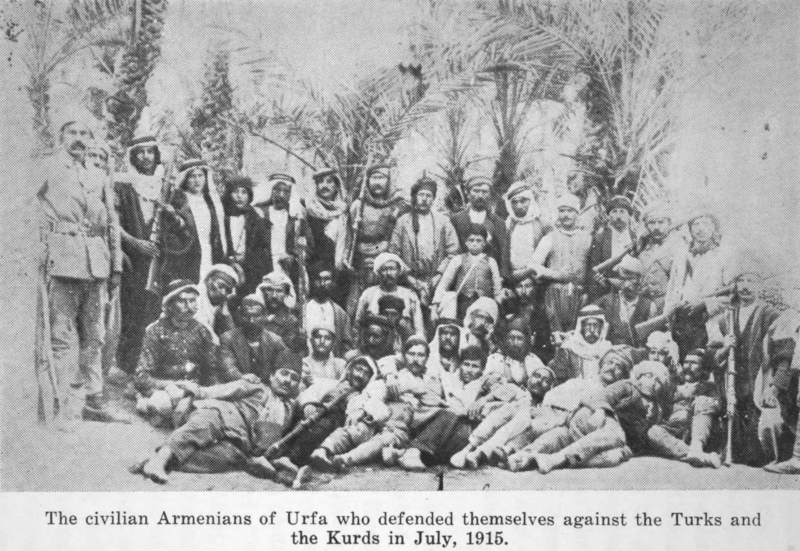 In early May, 1918, the Ottoman army faced the Armenian Corps of Armenian National Councils which soon declared the Democratic Republic of Armenia. The Ottoman army captured Trabzon, Erzurum, Kars, Van, and Batumi. 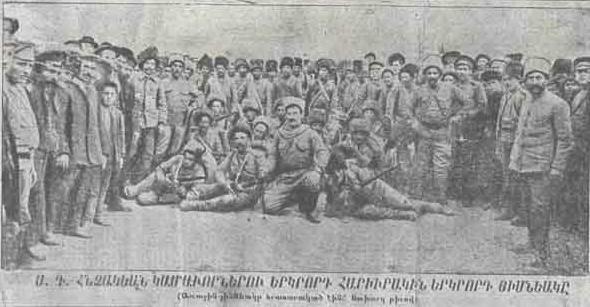 The conflict led to the Battle of Sardarapat, the Battle of Kara Killisse (1918), and the Battle of Bash Abaran. Although the Armenians managed to inflict a defeat on the Ottomans at the Battle of Sardarapat, the Ottoman army won the later battle and scattered the Armenian army. The fight with Democratic Republic of Armenia ended with the sign the Treaty of Batum in June, 1918. 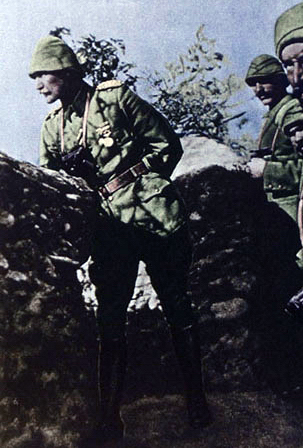 However throughout the summer of 1918, under the leadership of Andranik Toros Ozanian Armenians in the mountainous Karabag region resisted the Ottoman 3th army and established the Republic of Mountainous Armenia. The Army of Islam avoided Georgia and marched to the Azerbaijan Democratic Republic. They got as far as Baku on the Caspian Sea. They threw the British out in September 1918 with the Battle of Baku. The Armistice of Mudros, signed on aboard HMS Agamemnon in Mudros port on the island of Lemnos on October 30 1918, brought an end to the Sinai and Palestine Campaign. 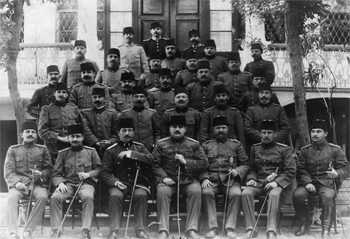 The Ottoman Government signed the Treaty of Sèvres on August 10, 1920; however, the Turkish national movement rejected the treaty, which therefore never took effect. Middle Eastern theatre of World War I Facts for Kids. Kiddle Encyclopedia.